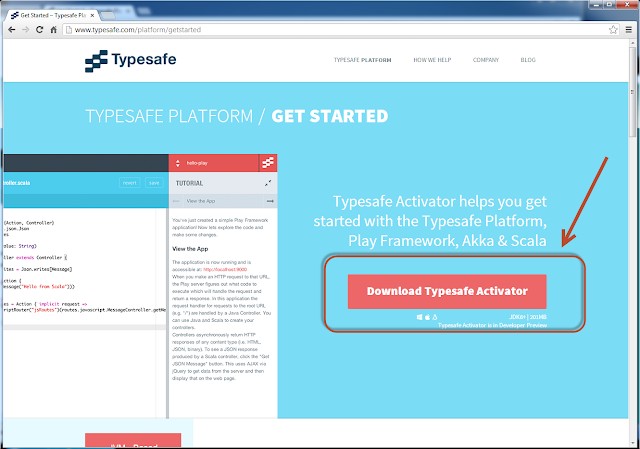 Typesafe, the folks who make the play framework have a program called the Typesafe Activator. 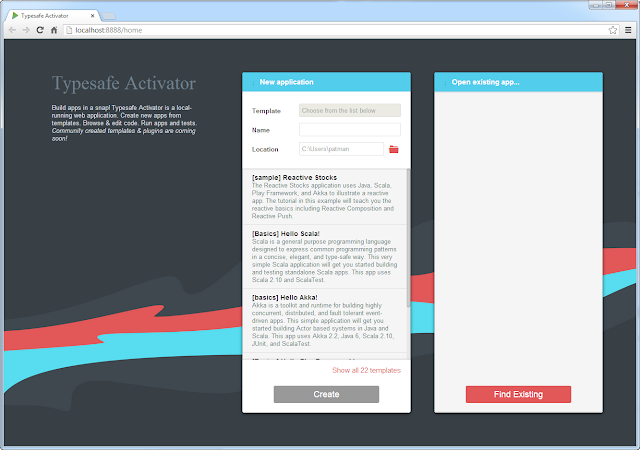 Activator is a local running Web Application that runs on your own machine. The following is a short tutorial. 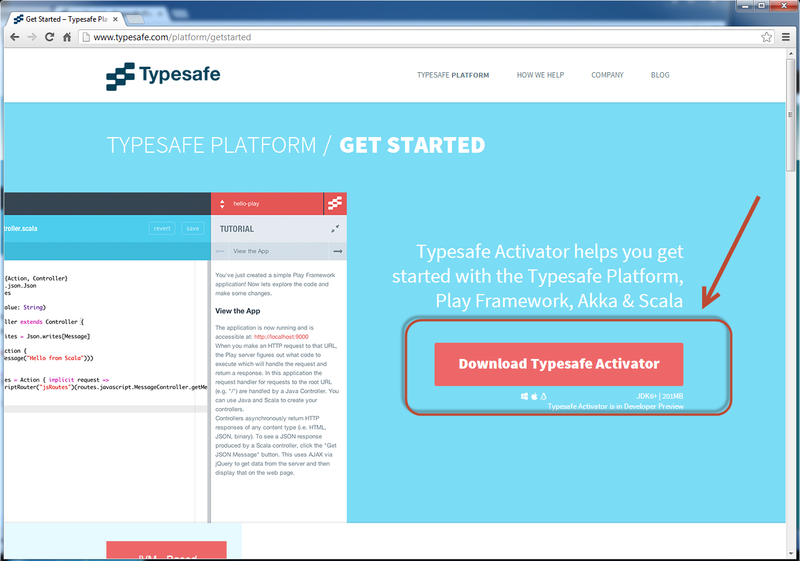 It will help you install Activator and begin using it. I am running the Activator from a Windows 7 Environment. 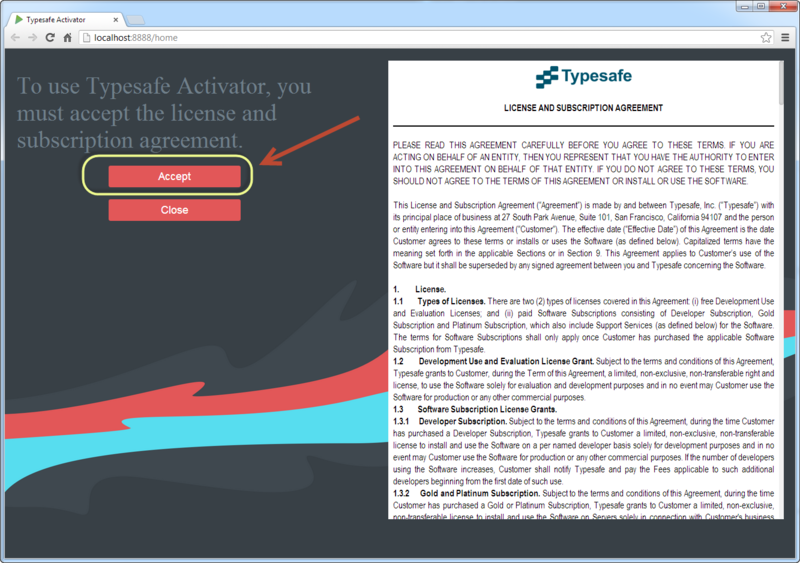 Click on "Download Typesafe Activator"
Unzip the contents and save them to a folder. 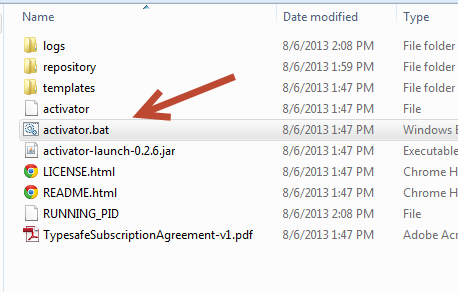 The Activator includes an activator.bat file. Double click on it to run it. Click on Accept to accept the license. 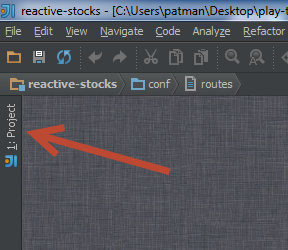 Now you are at the default page, this is the Activator UI. There are several different Template programs to choose from. 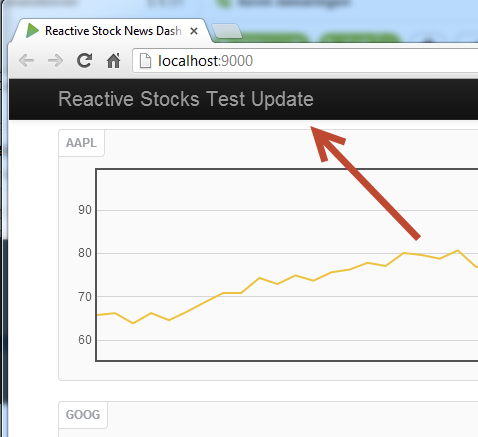 For my first go at it I selected "Reactive Stocks". 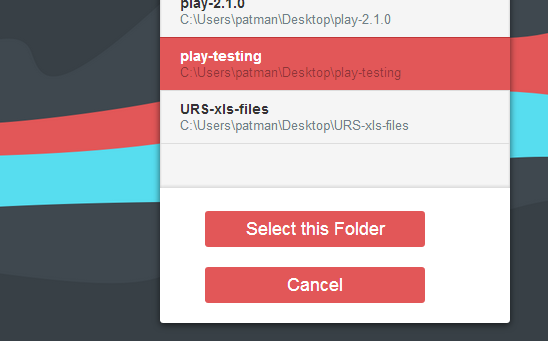 I want to change the default location to a folder I have on my desktop. 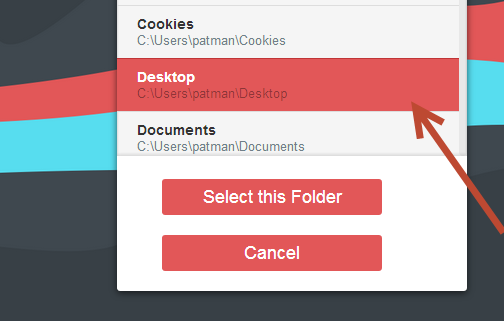 Click the folder to change the location. 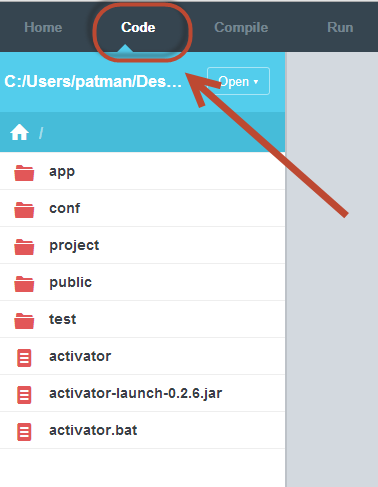 Then click "Select this Folder"
The Activator will create the program. On the right side you can see the Tutorial section. Here you can read the tutorial that came with the template. After the app restarted the page loaded fine for me. 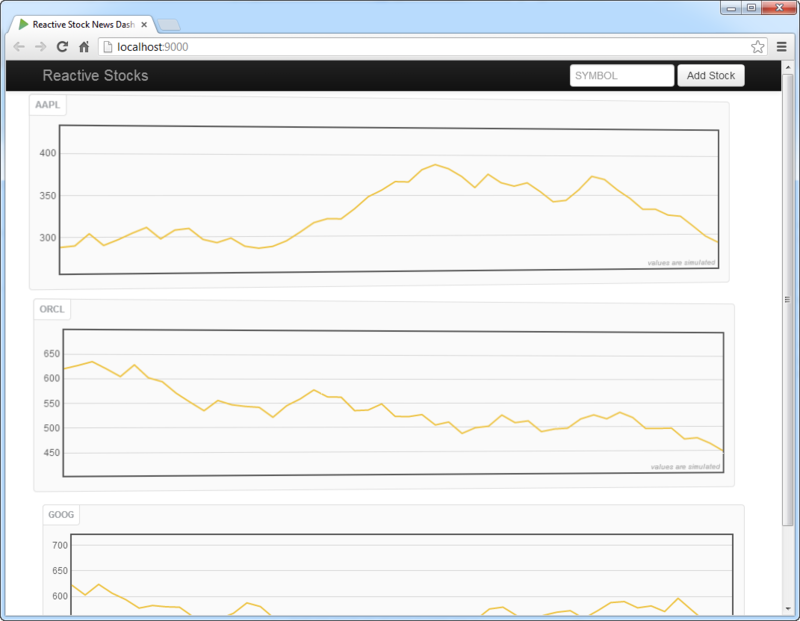 This app looks like some "live" stock feed with some fake data. 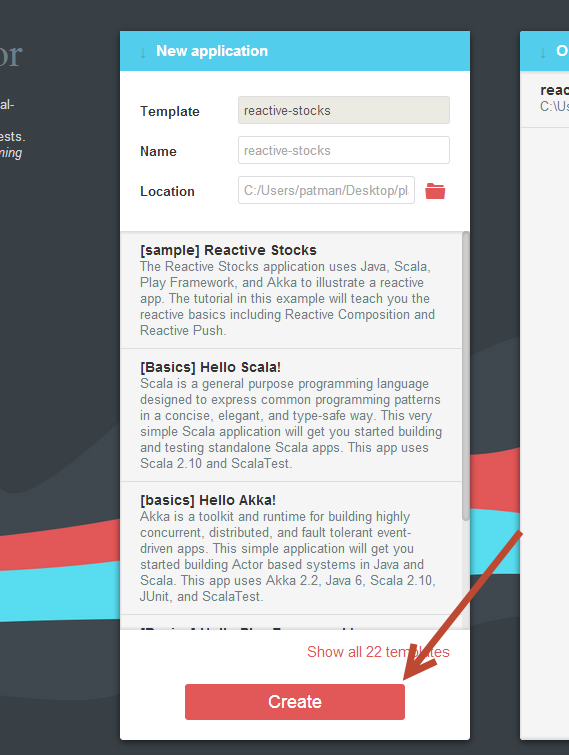 You can read and edit your code from within Activator. 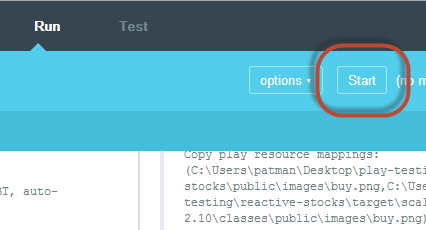 Clicking the Code menu item will Display the code. 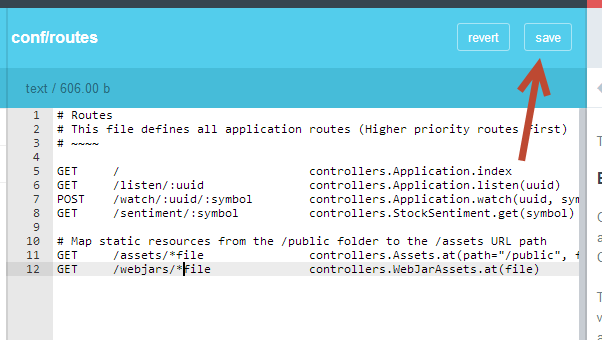 As an example, clicking on Conf then routes will open the routes file for this application. 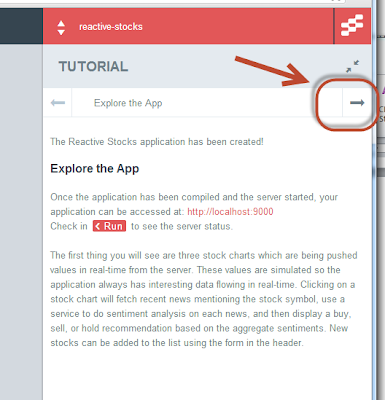 From the Activator web interface you can edit the files and save them. I am not going to do that right now I just wanted to point that out. 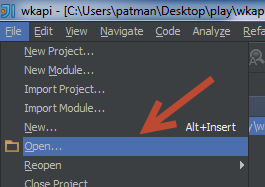 If you do edit them and save them the Play framework will automatically recompile the program. 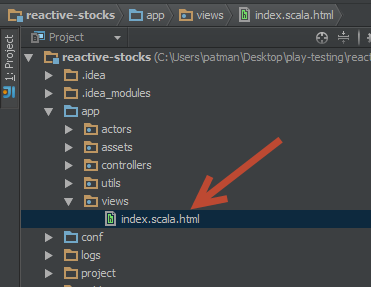 I for one prefer to use an IDE when programming, like IntelliJ. 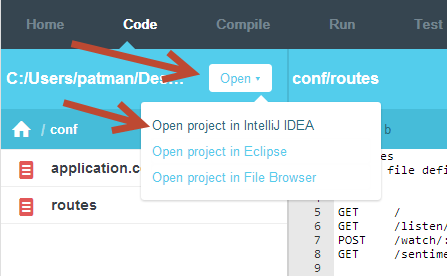 To open this project in an IDE click on Open and select your IDE, currently it looks like it supports IntelliJ (which I use) and Eclipse. 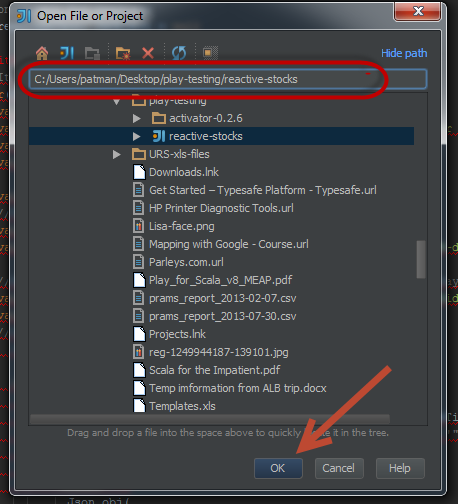 I clicked on IntelliJ to create the needed files for an IntelliJ project. 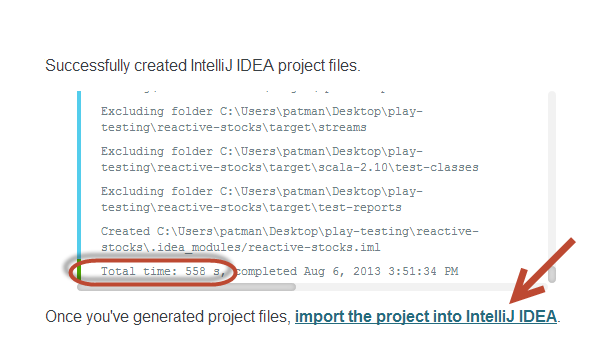 "Your app has no IntelliJ IDEA project files. Generate them now." 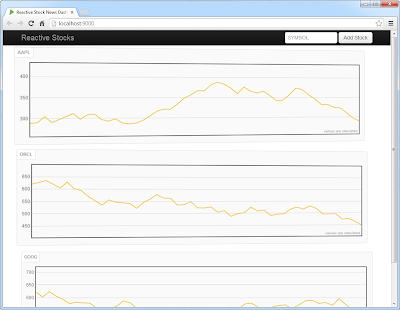 Messages will scroll by as it generates the code. If you are doing this for the first time it will download some libraries and may take some time. In my case it took ~ 10 minutes to finish. Here are the program files. 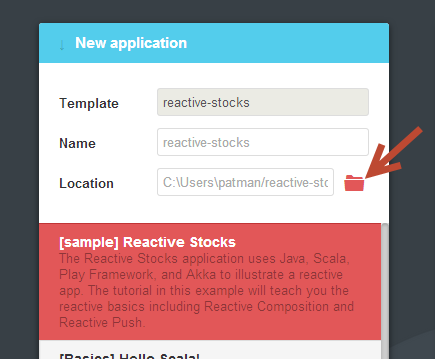 If you look real quick at the Activator web page you will see that the code is recompiling. 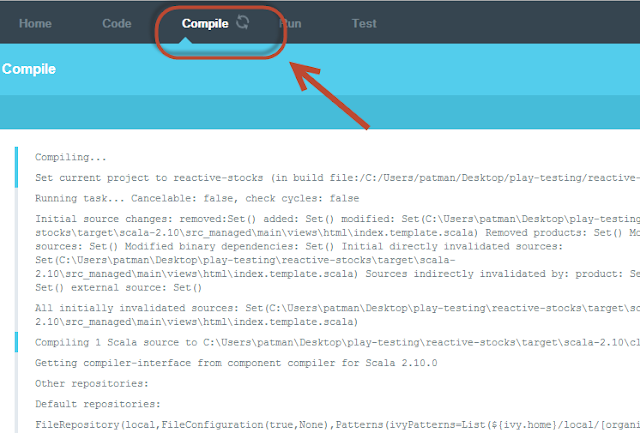 The default behavior of Play is to recompile if any of its files are updated. 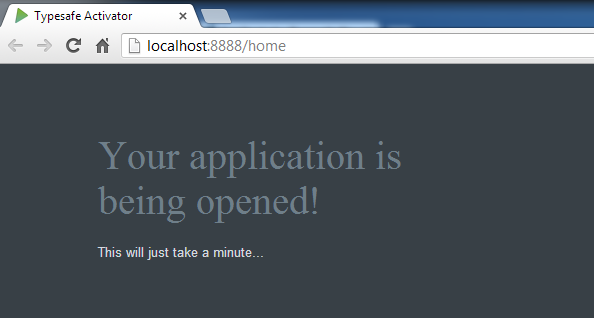 Once the WebApp has been recompiled re-open the WebApp page. You will see that it has been updated with the new text. 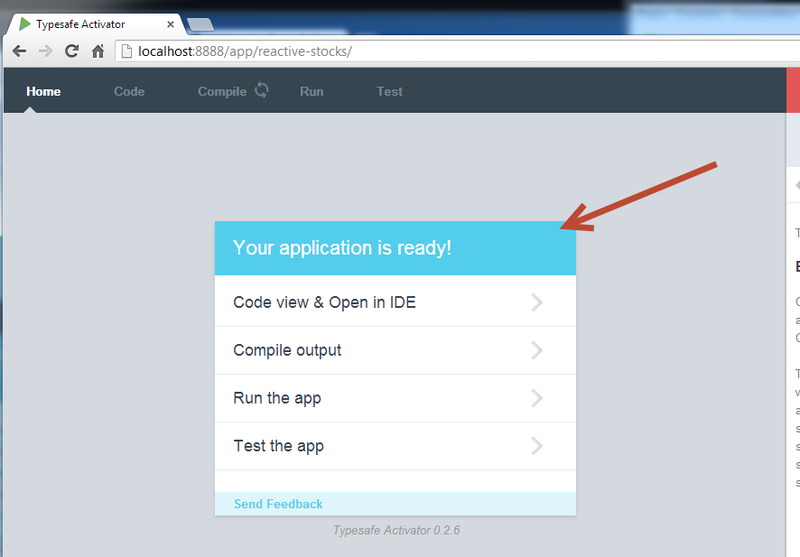 That is enough for a first introduction to Activator, or at least all I am willing to go into. Activator seems pretty interesting. 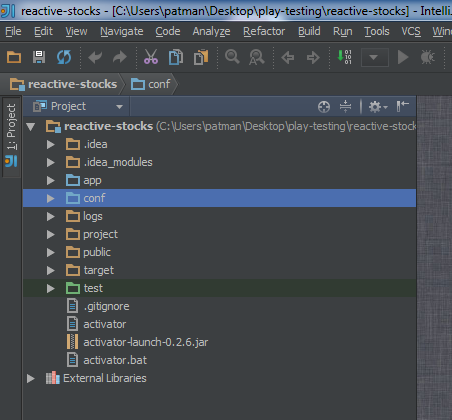 I still need to learn the Play Framework so I can give a better educated opinion on it, but I think I will see myself using Activator.